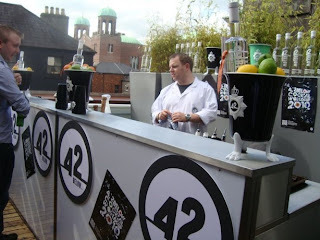 ENG: The 42 Below Vodka Cocktail World Cup is the most extreme cocktail competition on the planet. 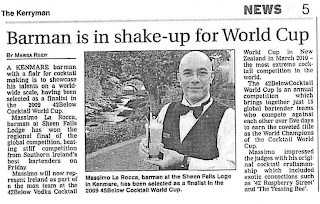 42 brave mixologists from the world’s best celebrity- and style-bars descend on the world’s adventure New Zealand for a week of masterful mixology. 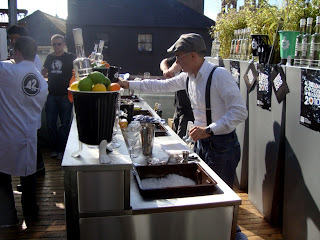 They will battle it out, country vs country through gruelling cocktail challenges to take home the winning title. 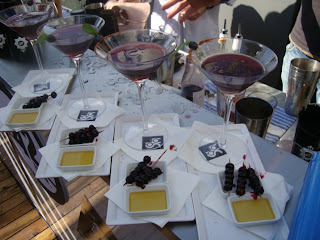 Regional finals take place in cities around the world to find each country’s most worthy mixologist. 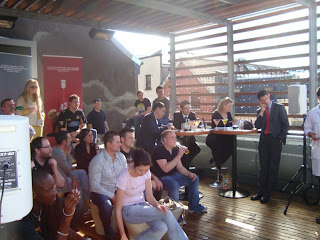 The Irish session in Cork, judged by Karen Halpin, Nigel Tynan (Editor of Licensing World), Nick Murnier (Maitre D Hell’s Kitchen/ Celebrity Chef/ Restaurateur) and UK Best Bartender Andy Pearson, has been held at Suas Roof Top Lounge where Relais & Chateaux “Sheen Falls Lodge” Bartender Max La Rocca won the competition amongst many of the best Bartenders in the country and putting Sheen Cocktail Bar among the best Hotel Cocktail Bars in Ireland. 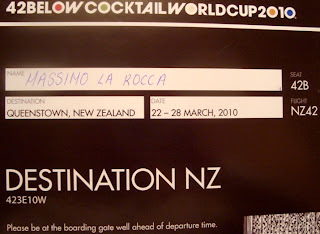 Max La Rocca, Andy Ferreira and Aaron Wall will represent Ireland in New Zealand against the rest of the world in March 2010. 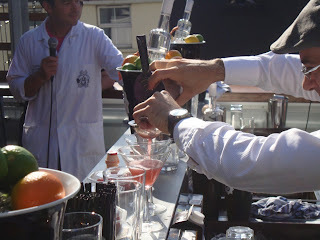 Again the Sheen Cocktail Bar is a guarantee of best quality and professionalism….. 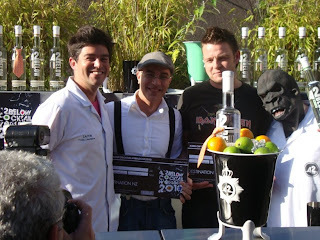 IT: La 42 Below Vodka Cocktail World Cup è la competizione più estrema cocktail del pianeta. 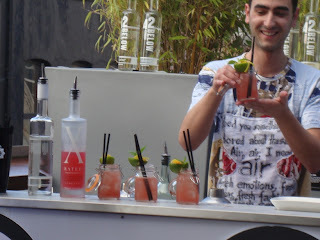 42 coraggiosi mixologists dei migliori bar del globo sbarcheranno sull’avventurosa Nuova Zelanda per una settimana di mixology spettacolare e si contenderanno, paese contro paese, attraverso sfide estenuanti di cocktail per portare a casa il titolo vincente. 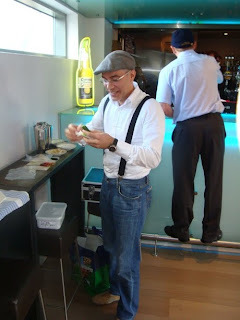 Le finali regionali si svolgono nelle città in tutto il mondo per trovare il Mixologist più degno di ogni paese. 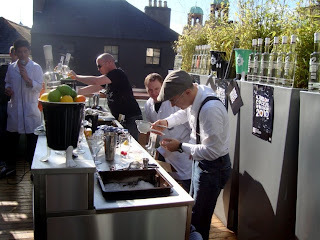 La sessione Irlandese di Cork, giudicata da Karen Halpin, Nigel Tynan (Editore di “Licensing World”), Nick Murnier (Maitre D Hell’s Kitchen/ Celebrity Chef/ Restaurateur) e dal miglior Barman del Regno Unito Andy Pearson, si é svolta al Suas Roof Top Lounge dove il Barman del Relais & Chateaux “Sheen Falls Lodge” Max La Rocca ha vinto la competizione tra i migliori Barmen del paese collocando Sheen Cocktail Bar tra i migliori Hotel Cocktail Bar in Irlanda. 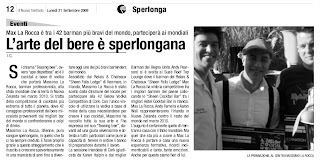 Max La Rocca, Andy Ferreira e Aaron Wall rappresenteranno l’Irlanda in Nuova Zelanda contro il resto del mondo nel marzo 2010. 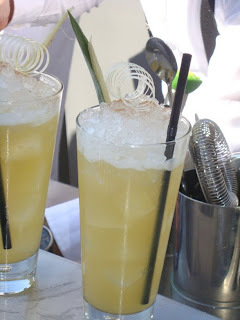 Ancora una volta lo Sheen Cocktail Bar è una garanzia di qualità e professionalità …..